With so many travel reward credit cards, choosing the right one can be difficult. But we're here to help. Cash back? Travel rewards? American Express? Chase? There are a lot of questions to ask yourself when it comes to finding a credit card travel rewards program that works for your life, spending habits and travel plans. Ideally, you want to earn the most points you can, and maximize the value of those points for major savings on your next big vacation. But, programs vary greatly based on their redemption value, travel partners and ease of earning points. Luckily, we're here to help. We took a look at five popular credit card travel rewards programs to see where the sweet spots are and what makes each program so valuable. Both beginners and experienced cardholders can focus on these top programs to start aligning their everyday spending with their travel ambitions. 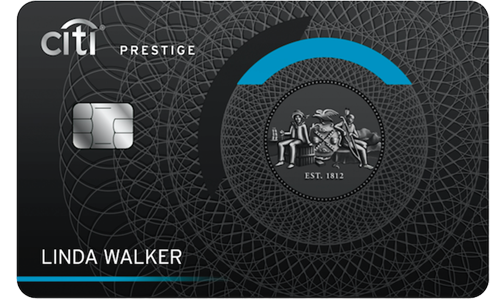 The American Express Starwood Preferred Guest program is known as one of the most valuable reward programs around, and is generally considered the gold standard in the industry. Starwood has successfully turned their loyalty program into a multi-billion dollar asset and here's why. Free hotel nights can be booked from 2,000 points per night and range up to 35,000 per night for the higher-end properties. Most of the properties are priced quite fairly at 12,000 points per night for rooms that normally retail at $300 to $400 per night: a value of about 2.9 cents per point. Redeeming five award nights with your Starpoints at a SPG hotel (Category 3-7) earns you a fifth night for free. Essentially, a five-night 60,000-point stay can be had for only 48,000 points. If you don’t have enough points to book your stay, Starwood has a program called Cash & Points. Say you need to stay somewhere for two nights, but you don't have enough points for the full stay, this program would allow you to book the two-night stay with a combination of cash and your points, essentially saving you money by not paying the full rate of an extra night. Unlike other hotel chains that charge exorbitant sums of money or require elite status in their program to upgrade or move to a suite, Starwood will allow you to redeem your points for upgrades. Room upgrades are very reasonable at around 1,000 to 1,500 points per night, while the suite upgrade will cost you the same amount that you paid for the room. So if it was a 12,000-point booking, you could upgrade to a suite for an additional 12,000 points. You can also use Cash & Points for room and suite upgrades. 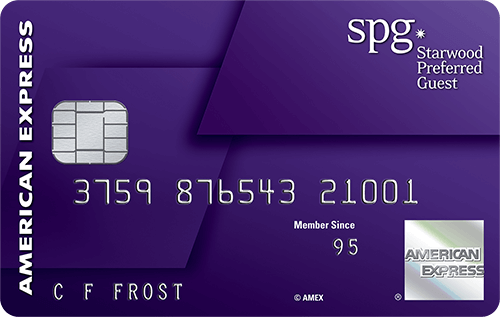 It’s worth noting that just by having the American Express SPG Credit Card, you automatically receive credit for five nights and two stays each year toward SPG Elite status. That's 20 nights away from SPG Gold status and 45 nights away from SPG Platinum status in a calendar year (members who achieve Gold or Platinum status earn points faster). Not only can you redeem points for stays at Starwood hotel properties, but the SPG program also includes a "transfer to travel partners" benefit. By transferring your SPG points to dozens of airline rewards programs, your points can be used to redeem airfare at almost any major airline around the world. Most airline rewards programs transfer Starpoints at a rate of one-to-one, but that's not even the best part. For every 20,000 points you transfer from the Amex SPG program to an airline partner, you’ll receive an additional 5,000 free points in that program, for a total of 25,000 points. That means every point earned in the SPG program is effectively worth 1.25 points. 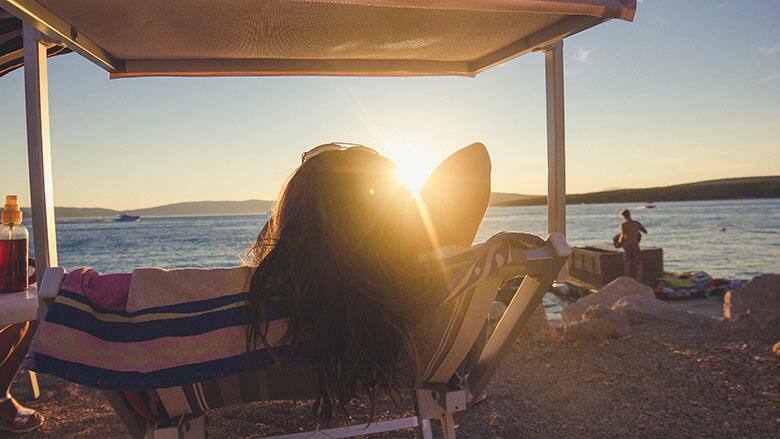 With SPG Moments, you can redeem your Starpoints for once in a lifetime experiences. You can bid on or purchase a variety of experiences, ranging from sports to music to cooking and more. If you’re a sports fan, you can throw out a ceremonial pitch before a Cubs game or watch the T-Mobile Home Run Derby from the dugout. Music fans could score a private suite for Adele’s concert at the Staples Center in Los Angeles or meet the Zac Brown Band in NYC. Basically, there are some incredible opportunities to be had with Starwood Preferred Guest points. On top of the 25,000-point signing bonus once you meet the minimum purchase amount, Preferred Guest-level card members will earn two point for every dollar spent at participating hotels, while Gold and Platinum-level members earn three points for every dollar spent. Additionally, SPG has partnerships with Delta, Uber and a variety of retailers so that you can maximize your earning potential. 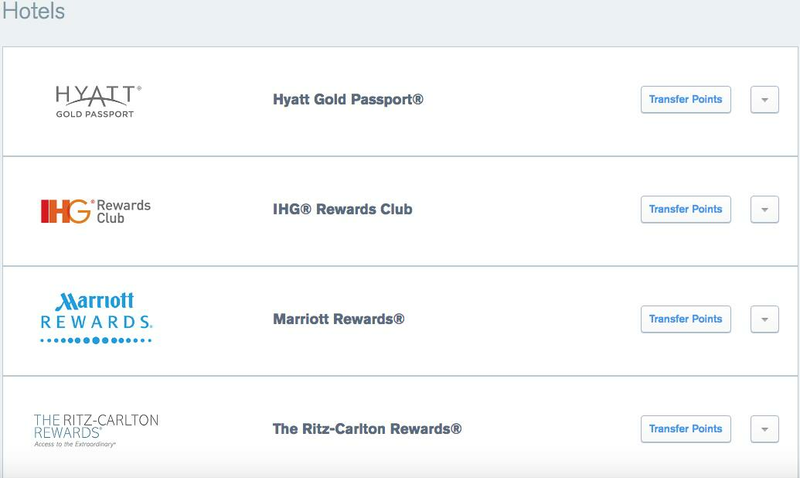 With United and Hyatt regularly heralded as having some of the best airline and hotel rewards programs respectively, it’s no wonder that UR points have such high value. Personally, I have transferred points to Southwest for domestic flights, United for international business/first class flights, and Hyatt for stays at some of their most prestigious properties. It’s comforting knowing that if you have trouble finding award availability in one program, you have multiple options in the Chase UR program. The vast array of options for redeeming your Chase Ultimate Rewards points is definitely one of the top perks of this program. Depending on which hotel or airline you're looking at, Chase UR points can be incredibly valuable as well. For example, flying in a luxurious Singapore A380 suite between New York and Frankfurt, Germany, retails for around $6,000, but costs just 57,375 Ultimate Rewards -- a value of 10.45 cents per point. If it's a luxurious hotel you're after, you could use 30,000 points for a stay at the beautiful Park Hyatt New York, a hotel that regularly costs upwards of $700 a night. That's a value of 2.33 cents per point. How about enjoying the gorgeous beaches of Hawaii for only 25,000 points? With British Airways, you can fly from Los Angeles to Hawaii for just 25,000 Ultimate Rewards points. A roundtrip flight between Los Angeles and Kauai routinely costs around $800 in the summer -- a value of 3.2 cents per point. Chase UR points can also be used at one of the many IHG hotel properties for as little as 5,000 points with the IHG PointBreaks program. Every couple of months, IHG releases a list of dozens of hotels around the world with redeemable nights for only 5,000 UR points. 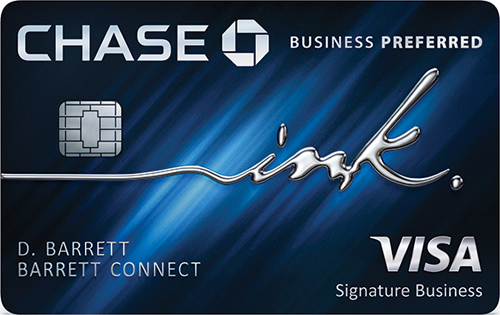 The American Express Membership Rewards program is a diverse and powerful credit card rewards program for travelers. Unlike the American Express Starwood Preferred Guest program, the Membership Rewards program includes several credit cards with which you can earn points. Additionally, MR points are redeemable at a variety of airline programs, often at a one-to-one ratio. While you have a variety of airlines to choose from when redeeming MR points, there are some standouts that really spotlight the redemption value of MR points as one of the big perks of this program. These include All Nippon Airways, Air Canada and Delta. 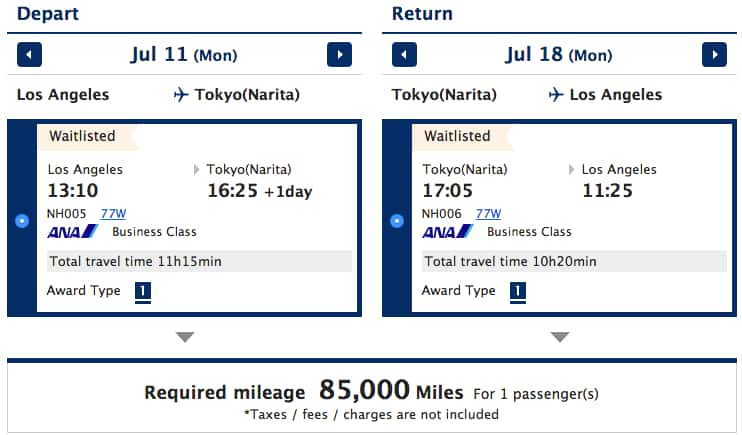 All Nippon Airways is known for some incredibly generous redemptions. One of the sweet spots in their reward program is redeeming flights between North America and Asia. 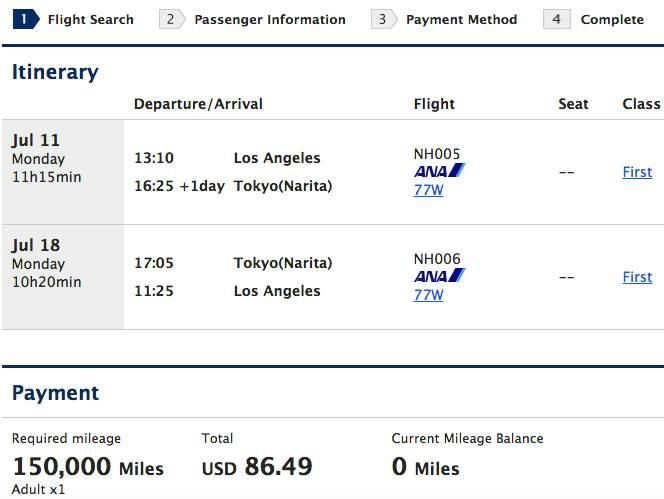 For example, you can fly roundtrip from Los Angeles to Tokyo in business class for just 85,000 points. This flight retails for $3,287, which translates to a value of 3.86 cents per point. Want to fly in first class instead? While this flight retails for $6,273, you'd pay just 150,000 points roundtrip -- a value of 4.2 cents per point. The Air Canada Aeroplan program is part of the Star Alliance, which partners with airlines such as United, Lufthansa, SWISS, Air New Zealand and more. Generally, I use United MileagePlus points to book any Star Alliance flights, as they have a very easy interface to search award travel, and have decent availability for flights. However, a business class ticket on a non-United Star Alliance partner flight between the US and Europe runs 70,000 points each way. This is really steep and I find myself burning through my United points at a much quicker pace. Aeroplan, however, charges just 55,000 points for that same flight. For example, you can fly from Los Angeles to London in Air New Zealand's luxurious business class cabin for just 55,000 points one way, instead of 70,000. A lot of people have enjoyed ripping on Delta for devaluing their rewards program, and for being the first major U.S. airline to go to the revenue-based model of earning points (which uses a combination of how much you spend and fly with Delta). Regardless, I've managed to find some great flights on Delta and some of their partners, including Air France/KLM and Virgin Atlantic. A couple of months ago, I booked myself on a Virgin Atlantic flight in upper class from San Francisco to London for just 62,500 points one way. This flight retails for $7,015. That's a value of 11.2 cents per points...a steal! $0 Intro Annual Fee for the 1st year, then $195. • Terms Apply. Receive complimentary benefits with an average total value of $550 with Fine Hotels & Resorts. Terms Apply. The Citi ThankYou program wouldn't have made it into the top five credit card rewards programs just a few years ago, but after revamping their program and adding some solid travel partners, as well as credit cards with fantastic perks, I can now say that I am quite thankful for the ThankYou program. One of the top award travel partners in the Citi ThankYou Program is Air France/KLM’s Flying Blue program. The program offers Promo Awards every month, which include discounted travel in economy or business around the world. They offer discounted awards for select cities in North America and Europe for as little as 12,500 points one way. The best part is that the program considers countries such as Israel, Turkey and Greece as part of Europe, charging fewer points than most other airline programs. It’s worth noting that Flying Blue also recently joined the Chase Ultimate Rewards Program, but I would suggest saving your UR points for programs like United, Southwest, British Airways and Hilton. 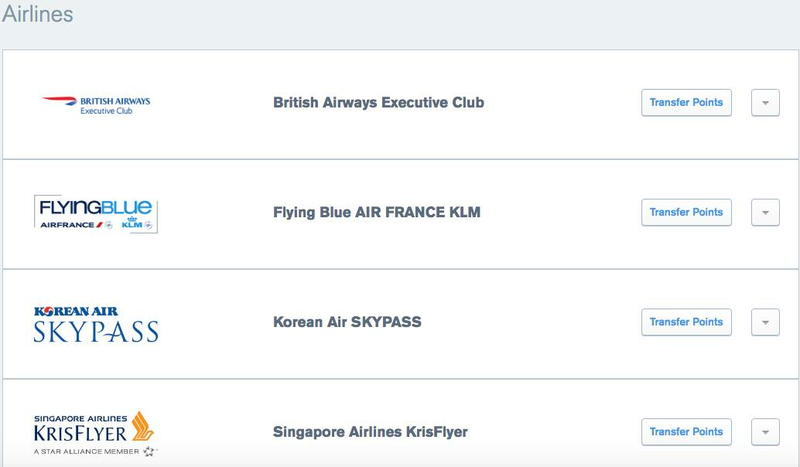 As mentioned earlier, Singapore Airlines offers some extremely valuable award flights at a price of just opening a new Citi credit card. 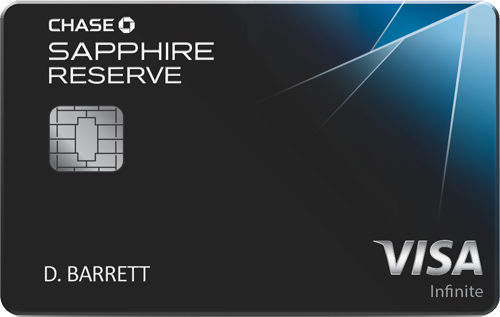 Singapore is also a partner of the Chase UR program, but again, I find myself more likely to spend my Citi ThankYou points on this program, instead of transferring my UR points to Singapore Airlines. 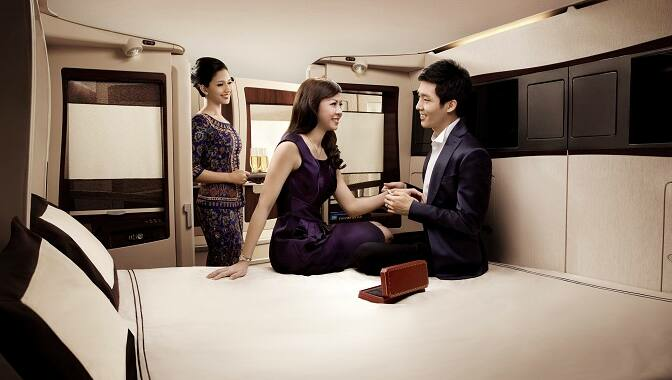 Another lucrative option for first class travel is to fly on Etihad, including their "Apartment" seat on the A380-800. For around 80,000 points (at their saver level), you can fly in the "First Apartment" seat, which consists of a large leather armchair and separate bed. There is even space to walk around after closing the privacy doors, not to mention the onboard shower. $250 Airline credit. This can be used for any airline expenses from checked bags to booking a flight. 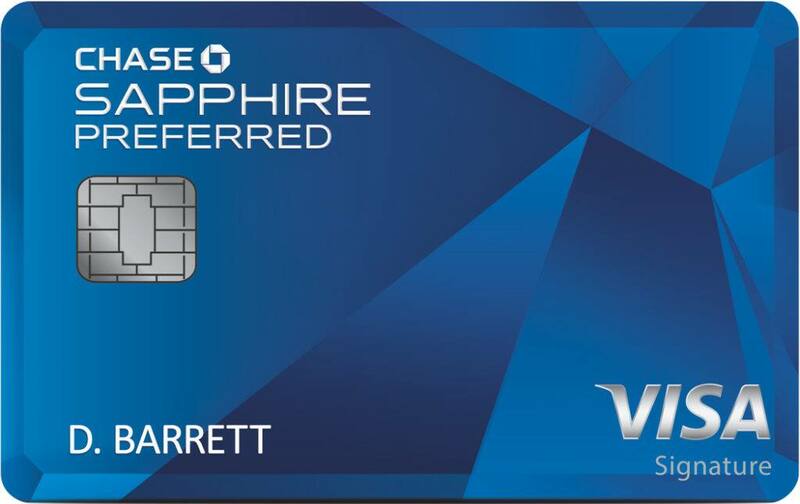 This credit refreshes every calendar year, so if you get the card in December, you can redeem $500 worth of airline credits by January! Barclaycard Arrival Rewards Points are some of my favorite, and the most versatile travel award points of any of the programs outlined above. The only reason Barclaycard Arrival Points comes in at number five on this list is that you can't transfer your points to an airline or hotel travel partner. Don’t get me wrong, there's still some amazing value to be squeezed out of this program, but the ability to redeem points within a travel partner’s own reward program is so much more lucrative. Having said that, Arrival points can be used towards almost any travel expenditure. So if you book a car rental, hotel stay, flight, Uber, Airbnb, excursion through a travel company, etc., you can redeem your Arrival points for a statement credit to erase those expenses. Last summer, I took a trip to Hawaii with my brother and we expensed most of the trip to our Barclaycard Arrival+ accounts, from the car rental to excursions, and even the dinners we ate at the hotel restaurant (by charging to our room). This allows for so much more freedom when looking to curb you travel expenses, and it keeps you from being limited to the traditional hotels and airlines. Instead, you can focus on using alternative accommodations and transportation by utilizing companies like Airbnb, VRBO or Uber. 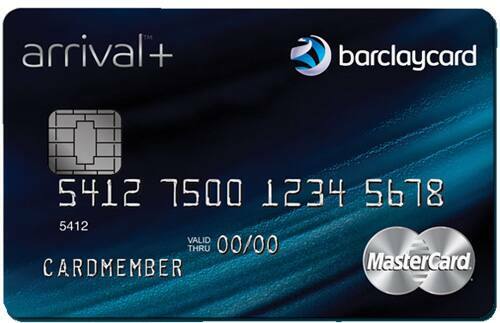 Barclaycard will also give you an additional 5% rebate on your award redemptions. So, if you redeem 20,000 points, you'll get a credit back for 1,000 points. Unlike most other credit cards that offer one point for every dollar spent or increased points for spending in random categories, the Barclaycard Arrival Plus Credit Card offers two points for every dollar spent. Couple that with the 5% rebate on award redemptions and every dollar equates to 2.11% back towards travel. As mentioned above, the Barclaycard Arrival Plus MasterCard offers two points for every dollar, plus an impressive sign-up bonus of 40,000 points once you spend $3,000 in the first 90 days. With so many great options outlined above, it's easy to become overwhelmed when choosing a travel rewards program that works for you. Ultimately, the goal is quite simple. Choose a program that helps leverage your everyday spending into valuable redemption rates between airlines, hotels and other travel expenses so that you can save you thousands of dollars every year. With more ways than ever to earn points, you can easily break into any one of these programs by signing up for one of the credit cards mentioned above. Once you meet that minimum spending requirement and receive the huge sign up bonus, you'll be able to transfer those points to an airline or hotel program that gives you the best value, and then build from there. Any one of these programs will give you a diverse portfolio of options, and open up a whole new world of points, rewards and free travel. So what are you waiting for? Break into the great wide world of credit card rewards points today! I'm a travel enthusiast with the desire to empower everyone with the knowledge that they can and should be traveling the world for free! I've been studying the various credit card and travel reward programs over several years, and I aim to provide powerful insight into maximizing their value through award bookings and deals. Contact me with your questions and comments!